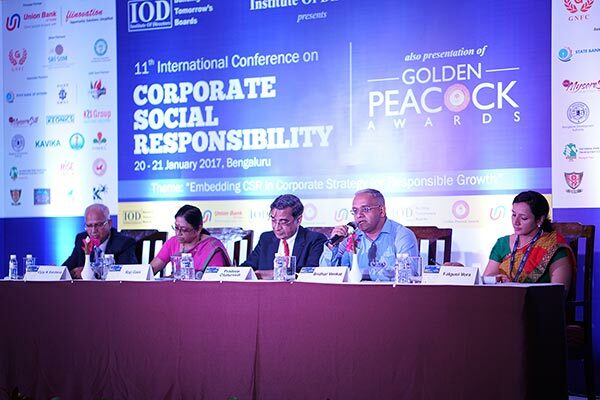 Our CEO, Shridhar Venkat, recently presented his views at the 11th International Conference on Corporate Social Responsibility (CSR) at Hotel Lalit Ashok, Bengaluru on January 21, 2017. 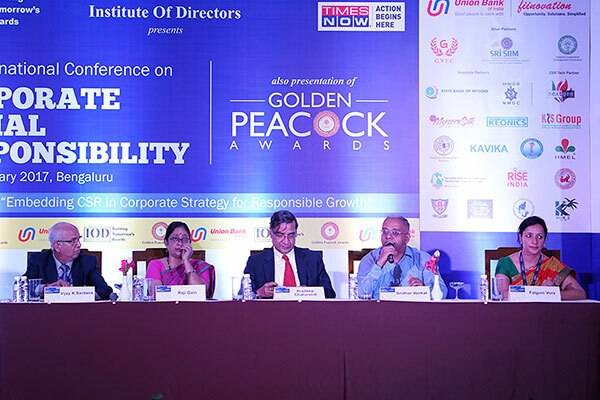 Organised by the Institute of Directors (IOD), India, in association with Times Now, the theme for the conference this year was ‘Embedding CSR in Corporate Strategy for Responsible Growth' and was held to discuss and debate the challenges facing the business world in effective utilisation and implementation of CSR funds and initiatives. Mr Venkat spoke at the XI Plenary Session at the conference, on ‘Partnering with NGOs for CSR Implementations: Experiences, Learning and Future.’ The other speakers at the session were Raji Gain, Chief General Manager, National Bank for Agriculture and Rural Development (NABARD); Vijay K Sardana, Convener, SRRF's Centre for Responsible CSO Boards and Founder President, Socio Research & Reform Foundation; and Falguni Vora, Senior Fellow and Head, Corporate Partnerships, National CSR Hub, Tata Institute of Social Sciences (TISS). Among the many salient points Mr Venkat made, he stressed the need for corporates and not-for-profit organisations to have clarity of goals among themselves, to ensure trust. "We believe it is important to have mind of a corporate and heart of a not-for-profit. This makes an NGO efficient."